A view the first settlers must have liked. If you want to go back to the very first tiny detail in Salzburg’s history, you’ll end up some thousands of years before humans even started the calculation of times. Somewhere along the way in the New Stone Age the first settlers arrived at the river Salzach and created a colony. The next important step in the city’s history was the arrival of the Romans around 15 B.C. Until about the year 500 the Romans helped developing infrastructure, trading and culture. 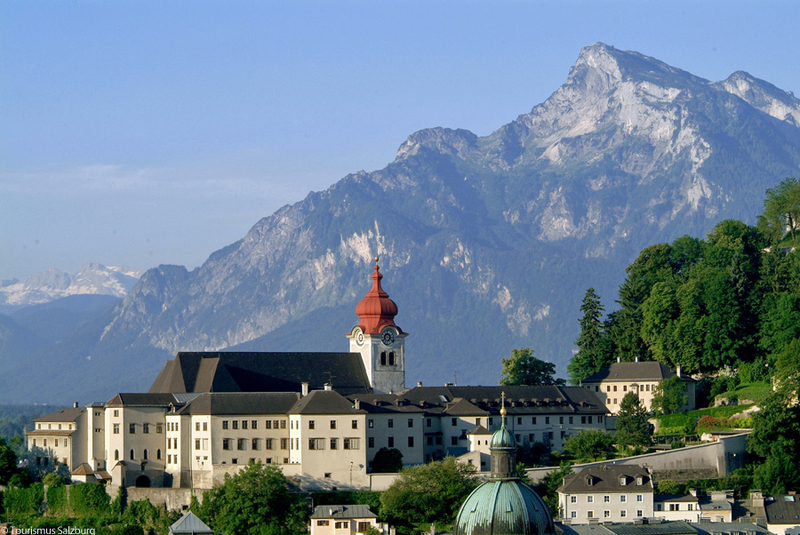 With the “southerners” leaving, Salzburg slowly drifted into the Middle Ages, where it was for the first time ever actually called Salzburg (755 A.D.) and transformed into a religious stronghold for Christians. In the year 1120 Salzburg was officially named a city, which – from today’s point of view – makes it the oldest still existing city in Austria. The rise of its cultural legacy evolved in the 17th century, when the Baroque epoch spread across Europe. But the most important era for the music culture was the 18th century. With the First Viennese School (a special classical period in Western art music) and artists like Wolfgang Amadeus Mozart Salzburg lived to see its – by then – biggest step in music history. 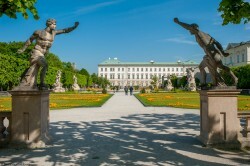 The “Schloss Mirabell” with it’s colorful gardens. After the cultural high in the 18th century the city went through a lot of changes. 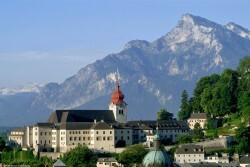 Throughout the first half of the 19th century Salzburg alternately belonged to different kingdoms and countries. When WW I ended in 1918, things looked like they started to get back on track. 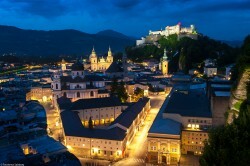 Tourism increased and with the “Salzburger Festspiele” the city once more became a cultural center. Also, the population figure and the land area zoomed up. But WW II and the actions of the fascistic nazi-regime connoted another huge step back. The final recovery started right after the end of the 2nd World War. 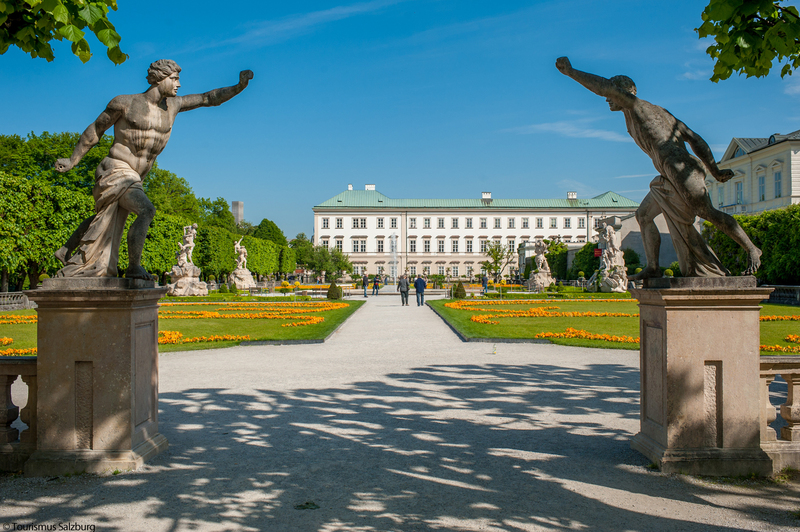 Most of Salzburg was rebuilt within a century and culture was on the rise – again. Until this day the city keeps it’s spirits alive and really values it’s very unique history.